There are so many books written about autism and other invisible disabilities. Books written by attorneys, celebrities and doctors. While some are helpful, they can often be unrelatable. And when a parent has a child with a disability, they want a book that will speak to them. Easy to Love but Hard to Raise is a collection of essays written by 32 parent-writers of children with ADD, ADHD, OCD, PDD, ASDs, SPD, PBD and other "invisible" disabilities. ...written by parents of toddlers, young children, teens, and adult children; those who are in the parenting trenches now, and those looking back on their parenting experiences. Topics include : how children came to be diagnosed, the experience of dealing with problem behaviors in various contexts and settings, experiences with/feelings about treatment (therapies, medications, alternative treatments), school (and other advocacy) experiences, children’s social interactions/friends, and the effect of parenting a difficult child on a parent’s emotional and physical health, marriage, and other relationships. Brutally honest and beautifully inspiring, Easy to Love but Hard to Raise are the stories of real parents raising challenging kids - their worries, fears and triumphant moments. These are the stories, so many parents need to read to realize they are not alone. As I am struggling with should I or shouldn't I medicate, the "Searching for Solutions" section has been especially helpful for me. I'm still uncertain on whether its the right decision for us, but I appreciate the perspectives and thought process of the parents. And I am certain I will return to the stories again. Also included in this book, are Q&As with experts regarding home-schooling, medication and much more. 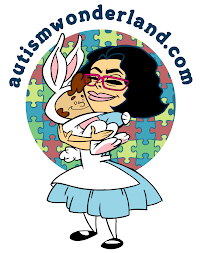 My favorite Q&A is the one on the importance of social media and special needs parents by Jean "Stimey" Winegardner of Stimeyland. No matter if you have a son or a daughter, regardless of age or disability - there is something in Easy to Love but Hard to Raise for you. This will be the book that speaks to you.